Earn through your Network by Selling our Fantastic Blockchain Consultancy Services: 25% Commission; Residuals available; Referrals Welcome! 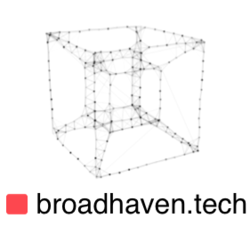 Broadhaven offer blockchain consultancy services to businesses seeking to harness opportunities offered by this new technology. Services include: consultancy; full stack engineering; tokenonmics; training and education. We want your help in finding business who want to explore this new technology - assisting them in improving existing products and services or developing new ones. We would love to partner with someone who shares our enthusiasm for blockchain, but retains a pragmatic and realistic view on where it can benefit businesses. As blockchain is an emerging technology, we believe there is huge potential for sales if pitched in the right way to receptive clients. Ideally, you should enjoy learning and keeping pace with emerging technology. Our target clients are agile and forward-leaning on new technology. Sales professionals who experience with this type of client would be welcomed.